Sony is finally bringing support for external hard drives to the PlayStation 4. With the next software update, PS4 owners will be able to download, install, and access games on an external hard drive. And about time too, as Xbox One owners have been able to do this for a while. Most PlayStation 4 owners will be stuck using an internal hard drive with a 500GB capacity. It’s actually quite easy to upgrade your PS4 hard drive How To Upgrade Your PS4's Hard Drive How To Upgrade Your PS4's Hard Drive The PS4 makes it easy to add more storage space. Let's look at what drives you can choose between and how the process works. Read More , but it still isn’t something most people will feel comfortable doing. Thankfully, with the arrival of version 4.50 of the PS4 system software, you’ll have another, even easier, option. According to the Official PlayStation Blog, version 4.50 (codenamed Sasuke) brings with it full support for USB 3.0 HDDs up to 8TB in size. You simply plug the external hard drive into your PS4, and you instantly have extra room to store more games you’ll probably never find the time to play. You can download and install games and applications directly to the external hard drive, and they’ll show up on your homescreen alongside anything stored on the internal hard drive. The only exception is save files, which will still be stored locally on your PS4’s HDD. The ability to add custom wallpapers, complete with drop shadows. A simplified notification list which condenses them all into a single tab. Improvements to the Quick Menu accessed with a long press on the PS button. The ability to watch 3D Blu-rays using a PlayStation VR headset. The new system software update will start rolling out today to people signed up to the beta program. Sony hasn’t indicated when version 4.50 will be rolled out to the rest of us proles, but it should be within the next few weeks. Hopefully. 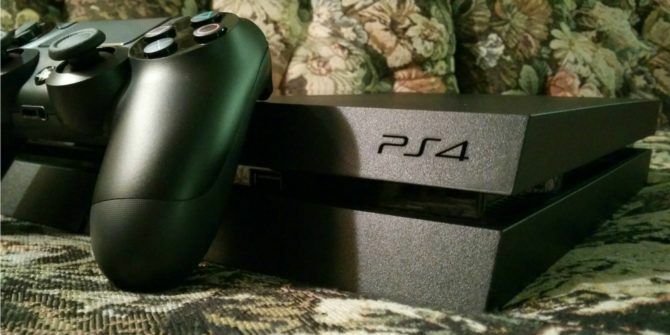 Do you own a PlayStation 4? Has your internal HDD run out of space already? Will you now use an external hard drive? Or are you more likely to upgrade the internal hard drive? What do you think of the other new features? Please let us know in the comments below! Explore more about: Hard Drive, PlayStation, PlayStation 4, PlayStation VR, Sony. New Razer Blade 4K OLED Gaming Laptop Is Shockingly ExpensiveIs Resident Evil 7 Worth Playing? My 1Tb internal drive has been filled with games I seldom play for quite a while, so I have to constantly delete games to make space for newer ones. My preference will definitely be in using a massive 6-8Tb external hard drive to install most of the games so the PS4 internal drive is free for storing saved data & game-play video footage. About time, i will use an external drive for media, movies and music, when is the update available? I have a PS4 Pro with the stock 1 TB hard drive. It's about 75% full. I was due for an upgrade on my 1 TB PC external hard drive so I'm going to switch that one to the Pro and put a 2 or 3 TB one on the system Wifi. I just want to find out how Sasuke is going to handle disk partitions. Take a look at the Seagate Firecuda 2TB. Eurogamer did a nice write on how it performed as a PS4 HDD upgrade.